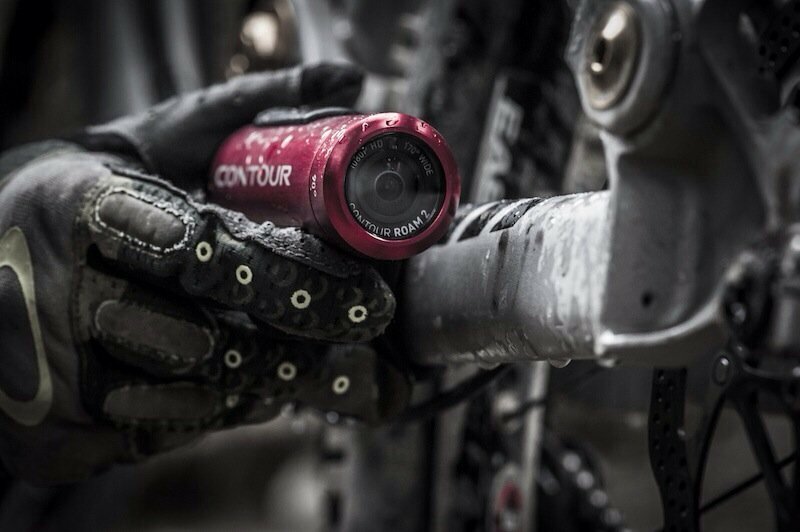 If you are technologically challenged or find your camera too complicated then the “Contour Roam2″ is the thing for you. With the Roam2 you can never miss out on capturing your wild moments. 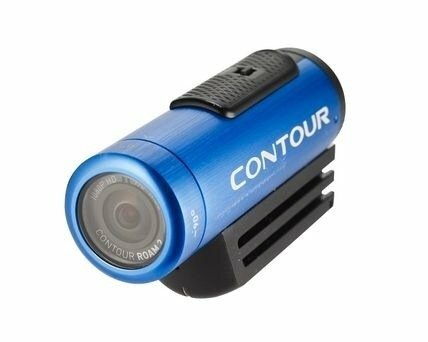 The Contour ROAM2 stands out as one of the best designed and easiest to use action cameras that the market has to offer. Keeping in mind the complexities of your wild adventurous moments, the Roam 2 makes it very easy to record videos. Just by sliding the “Instant-On Record” switch, you can start filming your moments in unbelievable crystal clear crisp HD quality. The camera lacks a complex control system or buttons and just relies on the power on and recording switch which lies on top of the lens barrel. A microphone and laser sensor are placed at bottom of the barrel. At the back of the camera lies a Mini USB port, micro SD card slot and a format button, hidden by a sliding flap. Moreover, the camera unit is available in four attractive colors; blue, green, black and red. The Contour ROAM2 is pretty durable and is designed for extreme situations. It can even survive a jump down a waterfall (It is waterproof up to one meter) and is literally ready for anything you put it through. It is powered by a single Lithium ion battery that gives a backup of almost 2 hours and 65 minutes. 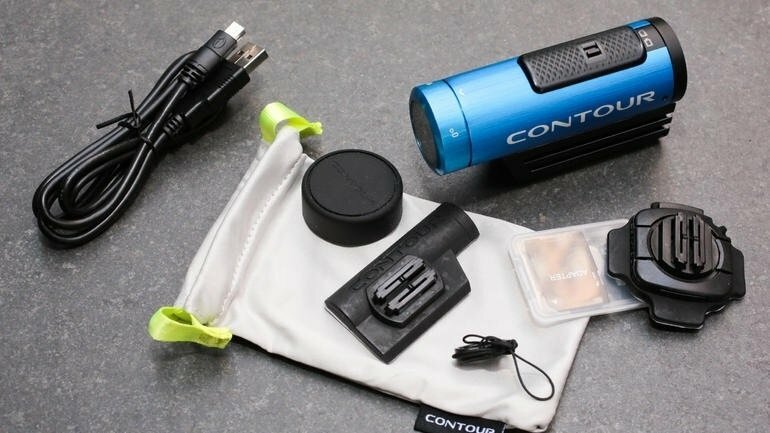 The Contour2 is a high-end product and won’t be easy on your pockets, but it’s certainly worth your money. You can buy it at Amazon for a discounted price of $179. • Continuous stills, seven times a second. Contour Roam2 is packed with great features to enhance the recording experience. Its low profile eye catching design is a hit and has won numerous awards. It’s exceptionally designed and is Superlight without compromising on any functionality. The Laser alignment is a great innovation in field of action filming. The Roam2, using the built in laser sensor, senses the situation and enables the user to capture videos at correct angles. The feature however comes with limitations and would be of no or little use during the day time or brighter conditions, though it is highly helpful in low light. Roam2 comes with an versatile mount. You can install it anywhere without ever worrying about it , it won’t even budge an inch. The camera is shipped with two mounts, a profile mount and a rotating surface mount. The profile mount attaches the camera as a stationary device to any object such as a helmet or a headband or a wrist pad. With help of the rotating surface mount you can rotate the camera in whatever direction you want even at absurd angles like 270°. The camcorder also comes with an extra adhesive pad for mounting. The Roam2 is compatible with all of the accessories manufactured by Contour, including mounts of all shapes and sizes. Amidst all the features, there is one huge downside to it and that is its lack of control. No setting or function can be changed without connecting the device to a computer and using the Contour application (Available for Windows). The contour application acts as a control centre for the device and even the recording modes cannot be changed without the help of it. This is a huge restraint and leaves most of the users to stick to the popular YouTube friendly 1080p resolution. We absolutely loved the Contour Roam2. The camera is unbelievingly easy to use and video quality is amazing in slow motion too, especially at 720@60. It lets you shoot up to 3.5 hours of footage. The battery life is exceptional and is only consumed when shooting, giving you more backup per charge. We found that low light condition does induce more “noise” to the video, but if there’s enough light (street lamps ), you can still get satisfactory videos. Sound quality disappointed us a bit and you should forget about sound when recording with wind or at high speeds. What we loved most about the camera is how well built the camera is, it can survive huge falls and still record. Burntech gives this device a thumps up despite its flaws which are overridden by its merits.